On another level, they are a stark reminder that depression is an equal opportunity tormentor. It doesn’t care what type of car you drive or where you go on vacation. Faith certainly helps provide hope, but it doesn’t make you immune from depression. I don’t know what specific issues haunted Spade or Bourdain. But I do know that money woes are common sources of deep, sometimes debilitating discouragement. As I’ve written before, when I woke up to the reality of my financial mess when I was in my mid 20s, I struggled through a tough season of depression. I looked forward to the nighttime when I could sleep and I dreaded the sight of sunlight in the morning, knowing I’d have to face the reality of my situation for another long day. It wasn’t the first time I was engulfed by a thick fog of depression, nor was it the last. Well-meaning friends who’ve never experienced it tend to offer kind yet unhelpful advice. At the risk of doing the same, I’d like to suggest the following for any readers who are feeling the weight of a heavy burden, whether it’s about money or something else. First, whatever you’re going through, you’re not the only one. Shortly after becoming a Christian and early in my nearly five-year journey out of debt, I began doing volunteer work with a stewardship ministry. It was eye-opening to see how many people have financial trouble. I really thought my situation was unique. I looked around and saw people driving nice cars, wearing nice clothes, and looking like they’re doing just fine. But I soon discovered that a lot of those people are not doing fine at all. That isn’t an indictment against them; it’s just a reminder that if you feel like you’re on the outside looking in, you’re not. The ministries will help you with the practical, as well as the biblical principles behind their advice. Third, cultivate the lost art of friendship. We all need someone to talk to, a safe friend we can tell the truth to—and not just about financial concerns. If you’re married, hopefully your spouse is one such person. Mine certainly is. But men also need a good guy friend or two. Women need another woman or two. Men are notoriously bad at the whole friendship thing. Interestingly, while writing this, one of my best friends called. We cultivated a friendship through a seven-year small group when I lived in Chicago. Five of us would meet on Friday nights, run together, study the Bible, and just hang out. We laughed together and cried together. But we’re all scattered around the country now. We get together about once a year and it’s always a rich and meaningful time. But we certainly aren’t doing life together anymore. My wife and I were part of a great, long-running couples group once as well. Since moving to Louisville, I haven’t found my group of guys yet. Between work, the fast pace of family life with three young kids, last year’s illnesses and deaths of my in-laws, and what often feels like countless household responsibilities, it’s easy to believe there just isn’t time. But it’s important. One insight to emerge from the tragic deaths of Kate Spade and Anthony Bourdain is that they were lonely. Being surrounded by people isn’t enough. We all need to be known by a close friend or two. Leading or joining a church small group would be a natural place to start. Fourth, find ways to help others. Looking back, I’m amazed that the stewardship ministry I applied to volunteer with accepted me. 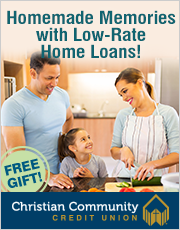 I was a new Christian and just starting the process of getting out of debt. I guess they needed help. I’m so thankful they let me serve. Being part of that ministry taught me a ton about money—practical things, and biblical principles. By working with people who had financial issues, I saw firsthand that my situation wasn’t so unique. And teaching the principles and practical steps I was learning helped reinforce those ideas in my own life. Plus, it was deeply satisfying work, which showed me more of God’s purpose in my journey. There’s something very healthy about getting the focus off ourselves and helping others. Since I had made some big mistakes with money, I could relate to the people who came in for help, which I think helped me build trust. It was all a very positive cycle of learning, trying to apply what I was learning, taking all of that and passing it along to others, learning more, trying to apply more, passing it along, and around it went. You could do the same thing. Join a local stewardship ministry team if one is available where you live. Or start a blog, sharing your journey—all that you’re learning, struggling with and applying, and the progress and setbacks along the way. I’ll bet a lot of people will be helped and encouraged by it. I know it will help you as well. Have you experienced any significant financial struggles that have left you discouraged or even depressed? What steps did you take that others might benefit from hearing about? Thank you Matt for your thoughtful insights! I appreciate the feedback, Leanne. there is so much wisdom in your offering, Matt. 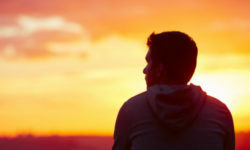 When our friends and loved ones are depressed and despairing, it is our natural instinct to want to “fix it” with good advice or with words from scripture. The most important help that we can give is to listen (not advise) and keep listening — and to be a compassionate connection. the tragic commonality for Anthony Bourdain and others who commit suicide is their withdrawal from people. Then they can succumb to the despair of only listening only to the negativity of their own depressed thoughts. Seek and value our close connections and friendships , as Matt says. It is good for ourselves and could very well be the lifeline for a despairing friend. Really appreciate you weighing in on this, Jerry, and your emphasis on listening instead of trying to fix. Feeling truly heard is a rare and wonderful thing! Good word here Matt. Having dealt w/ depression, I know a few things that have helped me: eating better (often my poor eating habits were a contributor to poor mental health), get activity (getting outside, exercise, visit friends like you say), environment (often my work is a stresser – sometimes, we just need to change jobs), faith / hope (I often fall into the comparison trap – having faith in Christ redirects my focus and helps me to see myself rightly). Obviously there are other issues at work here too like brain chemistry – but these can help fellow sufferers. Great ideas, Aaron. Getting regular exercise is especially important. Having exercised is a win unto itself, and I know there are all kinds of crazy good things exercise does for us physically and mentally.